Holiday’s are my favorite time of year. I love all the goodies, parties and festive activities. 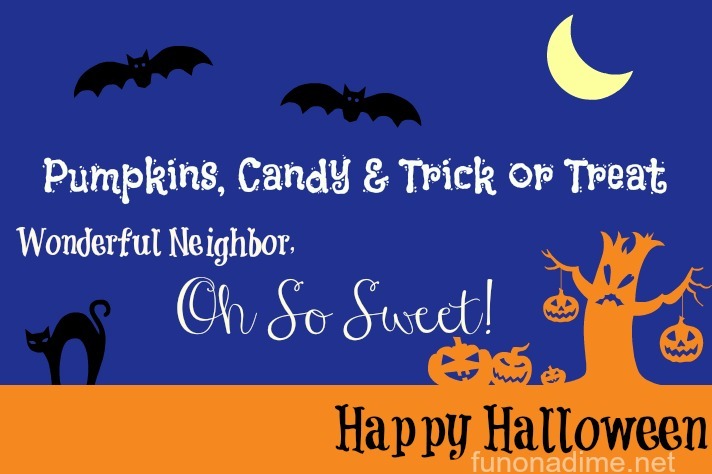 Now that October is here the holiday season is in full swing. One of my favorite traditions around any holiday is making sweet treats and sharing them with our friends, family and neighbors. I love creating new recipes for each holiday! I always go perusing the holiday isles at the store and look for inspiration! 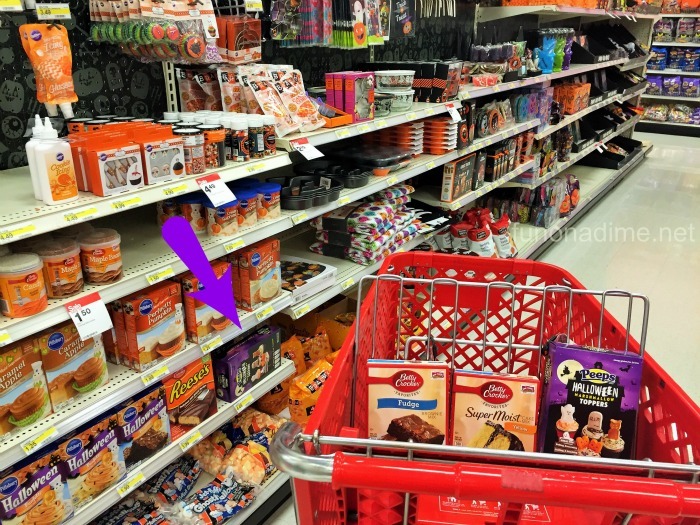 On my last trip to Target I found these super cute Halloween PEEPS® Brand Marshmallows. 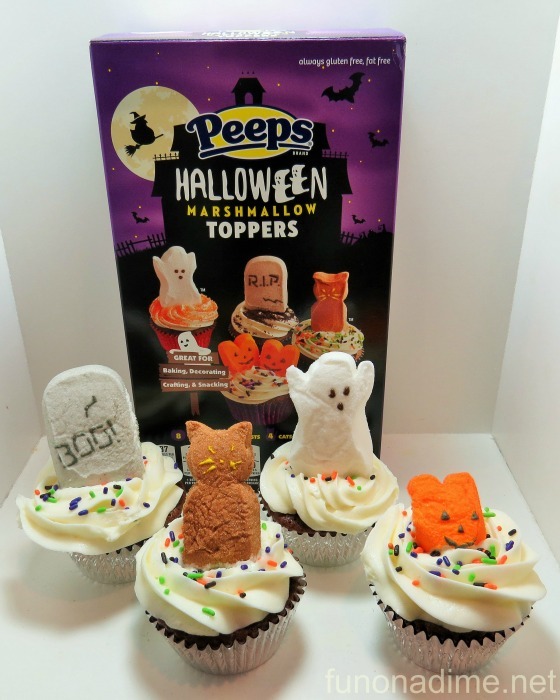 Did you know they made Halloween PEEPS? They were so cute I had to get them and they totally were perfect toppers for cupcakes so I went with that. 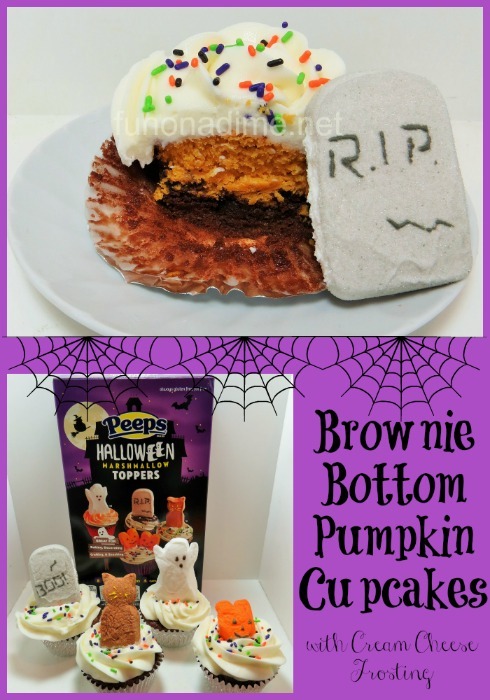 I had been wanting to try making brownie bottom cupcakes for a while and since my favorite fall flavor is pumpkin, my brownie bottom pumpkin cupcake recipe was born!! I quickly found a Betty Crocker™ fudge brownie mix and yellow cake mix and headed home to get baking! 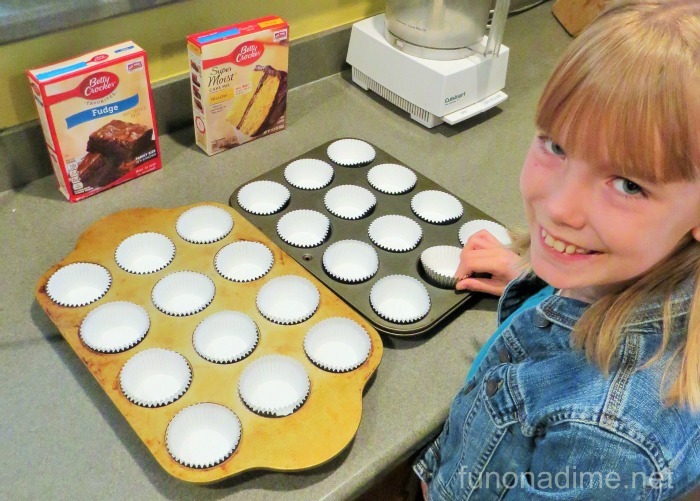 First, line cupcake pan with cupcake liners. 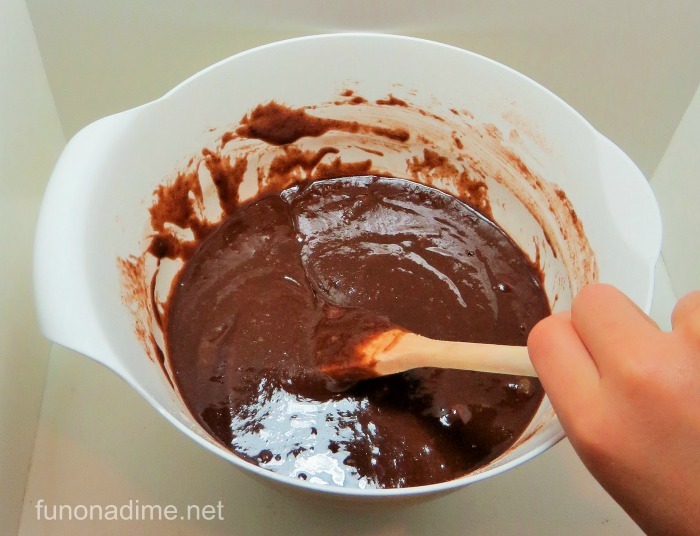 Second, make brownie mix exactly as directed on box and set aside. 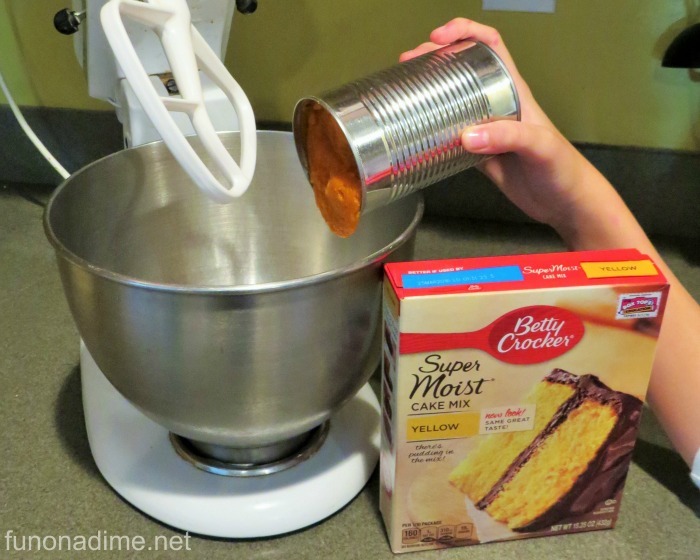 Third, mix yellow cake mix with one can of pumpkin with a mixer. Next, scoop brownie batter to fill 1/3 of the cupcake liner. It was about one scoop of my cookie dough scoop I always use. 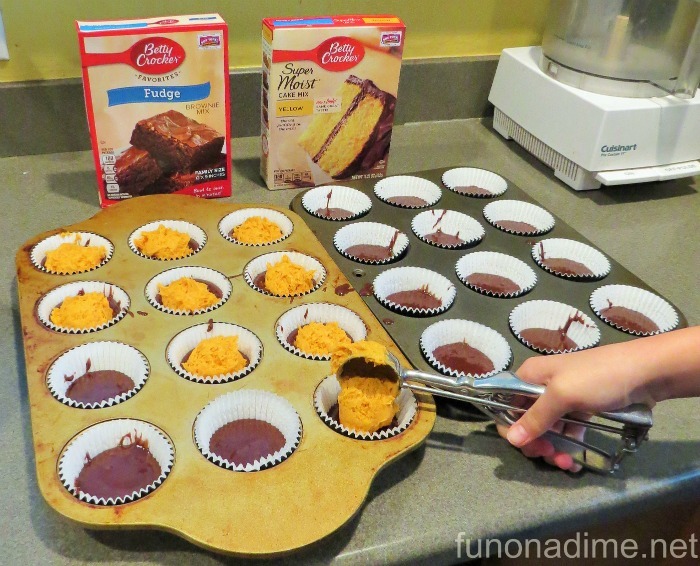 After brownie batter is distributed place the same amount of pumpkin cake mix over brownie batter. Bake at 350 degrees until toothpick comes out clean. I started with15 minutes and then checked them every 5 minutes after that. Mine took about 25 minutes. Let them cool and then let the fun part begin!!! Decorate away! Here is what the inside looks like. 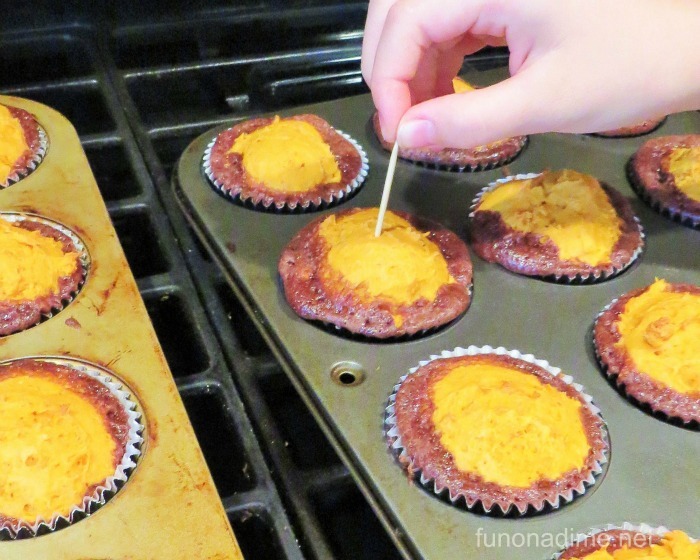 They turned out super yummy and I can’t wait to make them again! Now that you have 24 adorable cupcakes it is time to share them around with your friends. I have made it super easy and have this adorable printable for you to attach to your cupcakes. Click HERE to print your own! 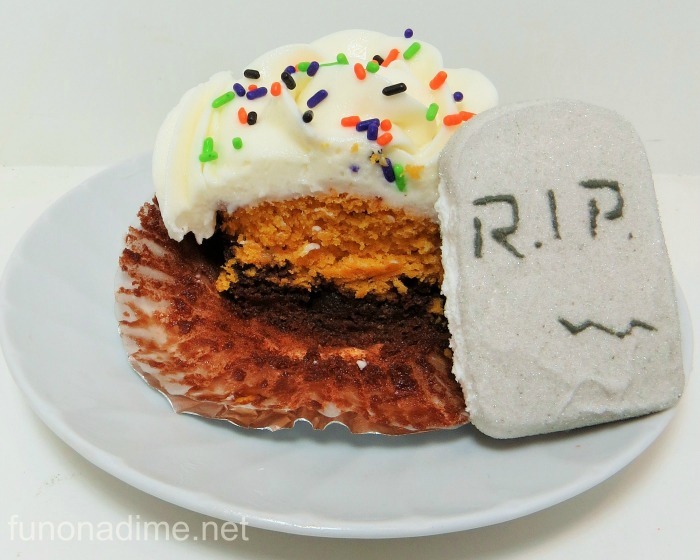 What will you do with your Halloween PEEPs? I can’t wait to see what you create!